Our Range Rover trackers have been tested and approved by Thatcham Research, a leading car security research company who put equipment through its paces to make sure it operates to a very high standard. This Thatcham Approved status is recognised by many insurance companies, which may lead to a possible reduction in your insurance costs. For your convenience we offer a mobile installation service available at a number of locations across Yorkshire, so you can sit back and relax while we come to you and fit your new tracker. The installation will be carried out by our team and trusted installers and once complete your new tracker will be completely concealed. Once activated, your new tracker will use various methods of communication including GPS, GSM and VHF allowing it to be tracked from controllers in a control room and also specially equipped police vehicles. This will dramatically increase your chances of recovering your Range Rover should someone decide to steal it. 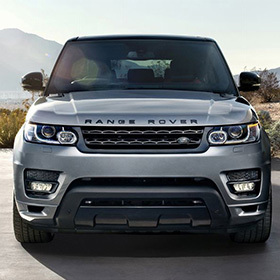 Our trackers for Range Rovers can be installed on a model of any age, so whether you've got an aged model or a brand new one straight off the production line, we can secure it. If you want extra tracking features then choose one of our category 5 or category 6 trackers, which boast additional benefits that can increase your chances of recovering a stolen vehicle even further. For more information on these excellent benefits read our product pages to help you decide which one is right for you. Buying a tracker from us is an investment in security, as car theft is still a major issue and effects many people each year. With this technology you can get one step ahead of thieves who decide to try their luck by stealing your Range Rover. Once activated, your tracker will be able to lead the authorities to your vehicles location. Get in touch with our team with any questions you may have about our trackers by calling us on 0113 397 9597 and don't forget to check out our product pages to find out more about trackers for Range Rovers.